Hi Michael, you're doing a fantastic job. Do you know any tool within excel that can optimize several variables at once? 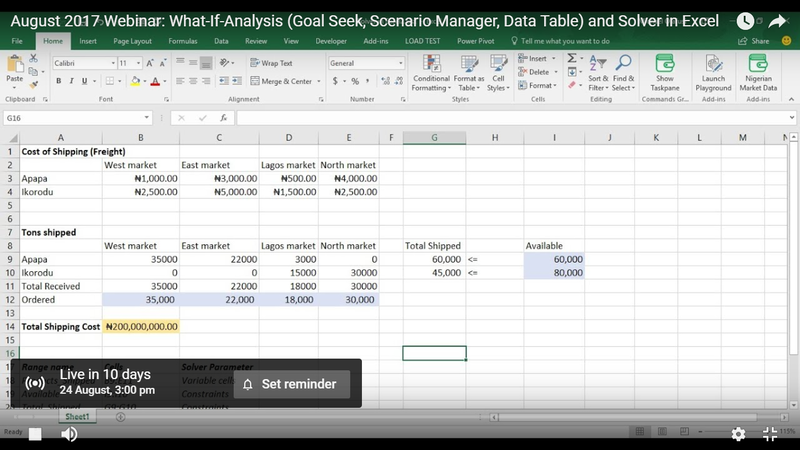 Goal Seek, Scenario Manager, Data Table, and Solver can only do so much. Even though solver can change more than two variables, you have to add constraints which can be ineffective by returning a minimum value depending on what you want to achieve. I need a tool that can deal with multiple moving parts without returning the minimum or maximum values, just the optimal values. Hmm. Nike, I think Solver will do very well what you've described. You might just have to linearize the problem or at worst go with non-linear evaluation.